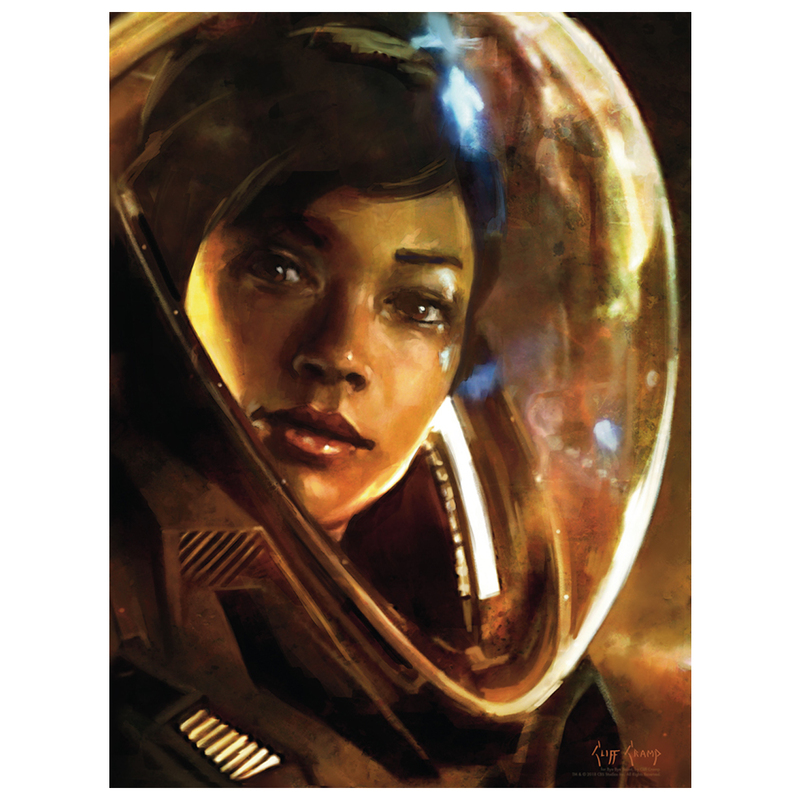 Continuing in Cliff Cramp's Star Trek poster series, this new poster of the lead character of Star Trek: Discovery, Michael Burnham is a stunning new portrait piece. It gives a glimpse into the heart of the new show. This striking poster is comprised of subtle shades of gold, copper, and sienna and is printed on heavyweight acid-free card stock. By artist Cliff Cramp from Bye Bye Robot.